​​Eric Gordon is a fan of Splash Kingdom. The ​Rockets swingman had been out the past few weeks, but with Houston getting healthy at the right time, Gordon's provided them with a vital performance on Saturday night. While James Harden led the way per usual with 48 points on the night, it was Gordon's circus-style shot which sent this game to overtime. 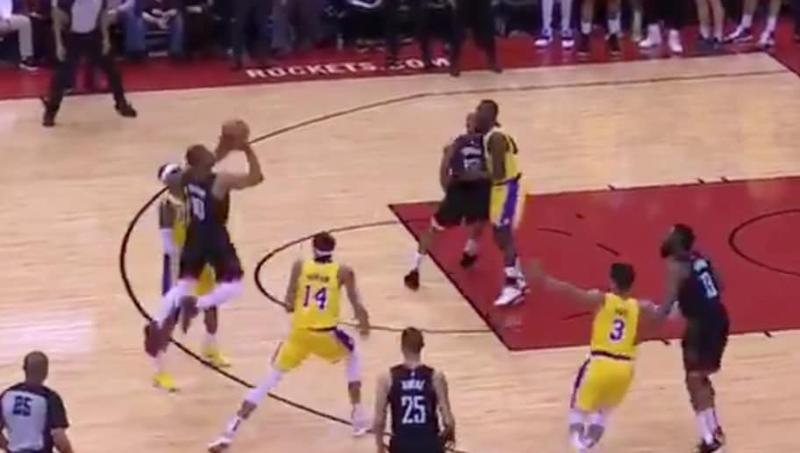 Eric Gordon forced OT against the Lakers with this three! ​​Side note--the Lakers did everything right here. LA made sure not to foul Gordon on the shot and didn't allow Harden to touch the ball. Unfortunately, Gordon is a knockdown 3-point shooter, making this nothing more than a lay-up to the veteran guard. For the shorthanded Lakers, beating Houston on the road wasn't meant to be.